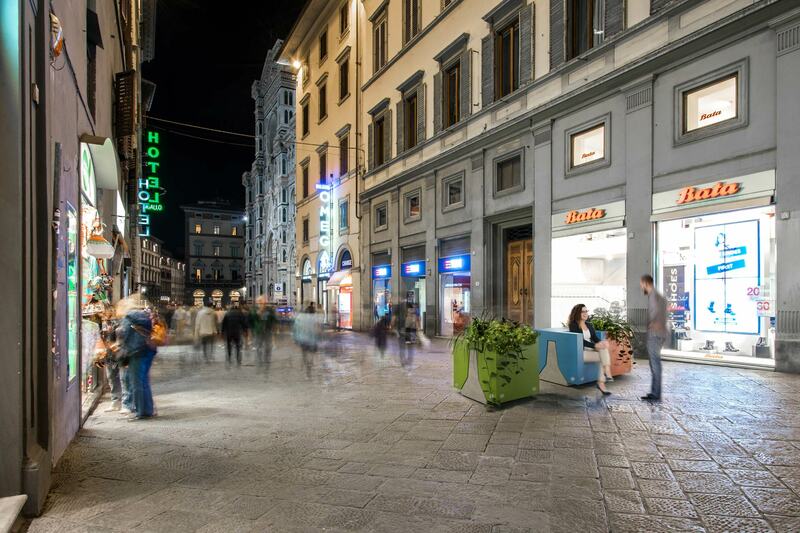 New JeST is an element of passive defense and urban, modular and multi-functional furniture. 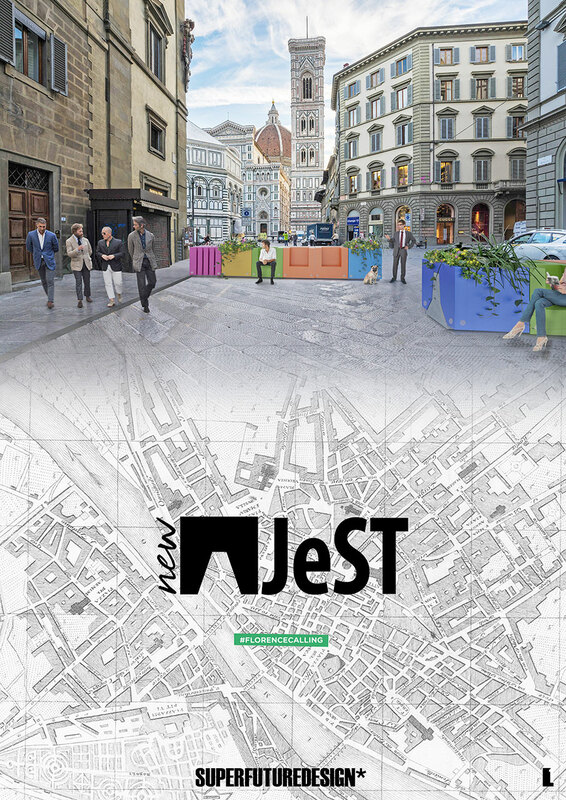 Produced with fully recycled plastic and with a minimal design, New JeST is designed for use on a large scale and can be easily installed and used in any urban context that requires systems to slow down the speed of vehicles, both temporarily and permanently. 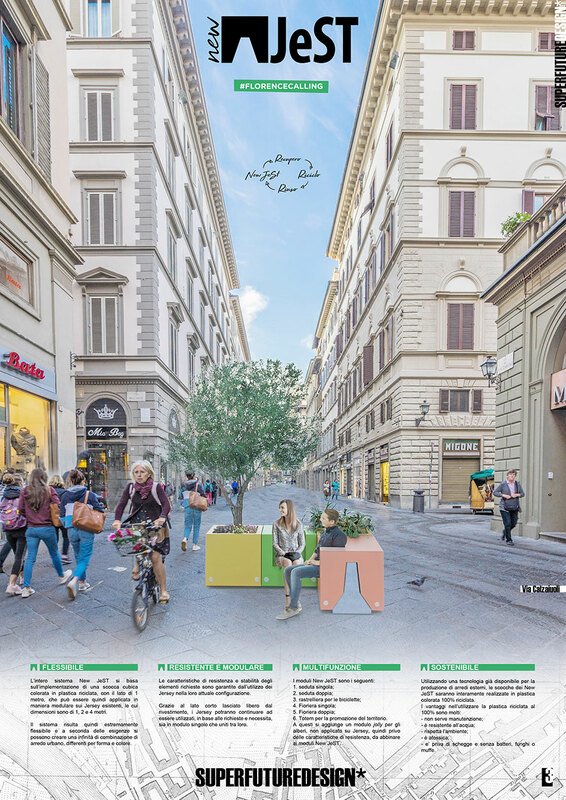 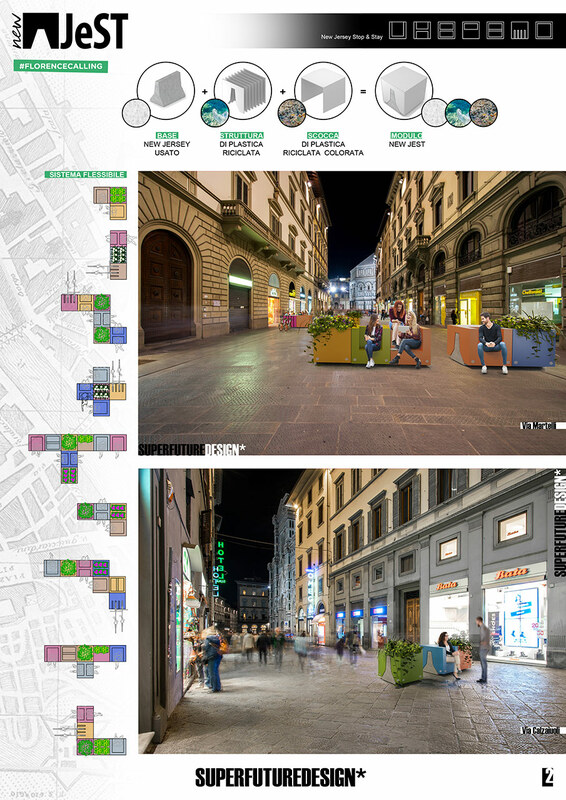 New JeST is based on a simple idea: to maintain the defense elements already widely present in every city, the Jersey Barriers, as a load-bearing element of the protection system, equipping it with colored recycled plastic bodies to create seats, bike racks, planters and pots for trees. 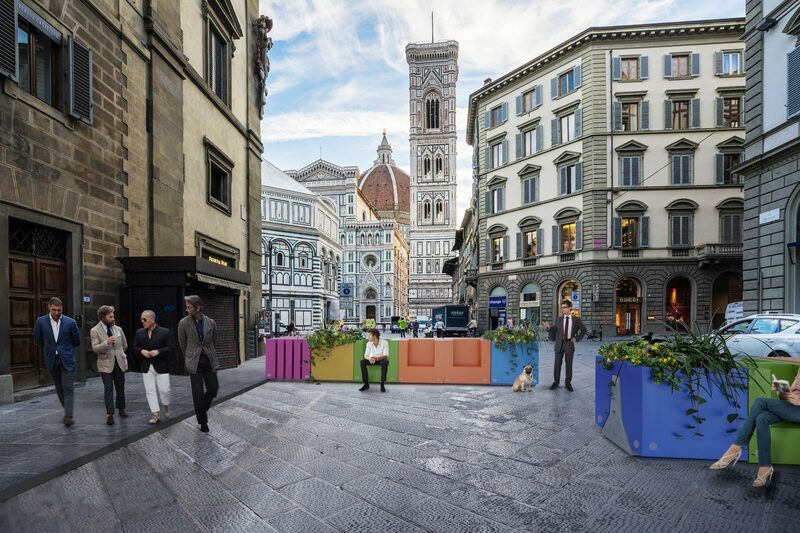 New JeST stands for New Jersey Stop & Stay, where Jersey is transformed from a security device into a colorful piece of urban furniture, to be lived and shared.